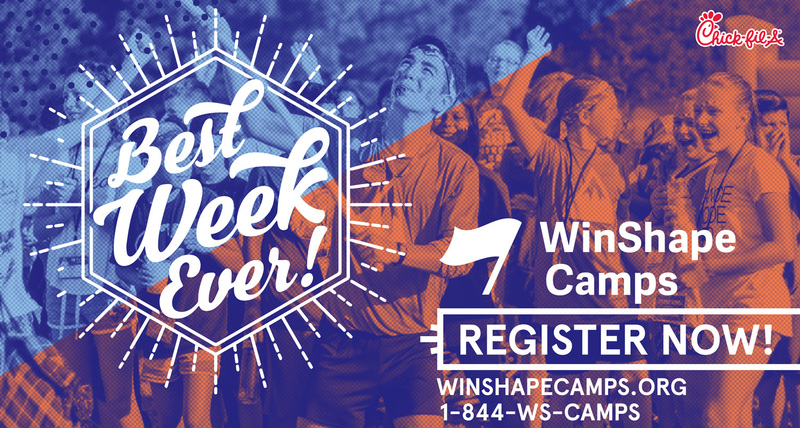 We are so excited that we will be hosting WinShape Camps again from June 10-14, 2019. Registration is now open and the current fee for the camp is $219.00 per student. If you have questions feel free to contact Katie Blair (katie@aldersgateumc.org) for completed grades kindergarten - 6th or Miles Barnhardt (Miles@aldersgateumc.org) for completed grades 6th to 8th grade. Are you willing to volunteer for camp? There is a space for every age and ability. Katie Blair is leading this area for us this year. Register now for Winshape Scholarships!